Ginger Winters drapes her hair over her right shoulder and adjusts the scarf around her neck to cover her scarred, withered skin. She’s had the scars since she was twelve, but she’ll never get used to the ugliness. The fire changed Ginger’s life, but out of the pain and humiliation of her own disfigurement, one quality unexpectedly emerged: a gift for bringing out the beauty in other women. In a twelve-year ascent from top salon jobs in New York, Atlanta, and Nashville, Ginger traveled the world as personal stylist to country music sensation Tracie Blue. The success was almost enough to make her forget her own appearance. Almost. Now that she’s opened her own salon in Rosebud after a dozen years away, the truth is staring Ginger in the face again: she’s still that girl, ugly and scarred, forever on the outside looking in. And this weekend she’ll be looking in as “beauty-maker” for the Alabama society wedding of the decade. But when high-school crush Tom Wells shows up looking for a haircut, Ginger’s thinly veiled insecurities threaten to keep her from love once again . . . despite Tom’s best efforts. Can this professional beauty-maker manage to recognize the beauty in herself, or are some scars too deep to powder over? 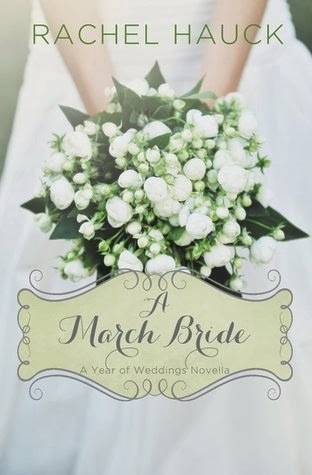 I loved how this book started out- such an interesting plot with dynamic characters, but as Ginger keeps on angsting and playing the victim, as well as not giving Tom a chance, the flow stalled for me since there was not much progression happening. Tom's religious and preachy conversations with a mentor also slowed the pacing down. Tom and Ginger had some nice moments together, but Ginger retreats back into her defensive shell so quickly that it was hard to savor. She didn't allow herself to believe that she was worthy of his attention, and her never-ending doubts put a real damper on things. Her perspective on beauty and confidence is skewed by her past trauma but also the tactless and shallow comments by her mother from the time of the accident to present day. It's only once Ginger finds happiness that her mother is able to see the true beauty in her daughter. I was disappointed that the full romance between Tom and Ginger was left out at the end of the story and the epilogue jumped forward to the "happily ever after." As Regina and Tanner face the challenges before them, neither are prepared for love to invade their hearts and change every thing they believe about themselves. However, when a royal opponent nearly destroys Regina’s future, she must lean into God and trust He has sovereignly brought her to her true and final destiny. 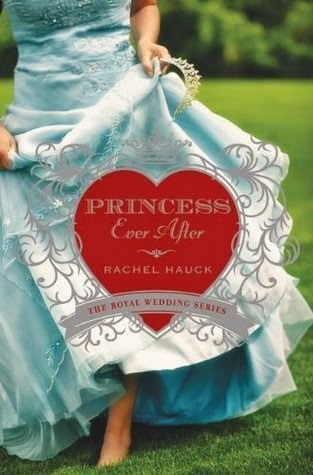 I was initially hesitant to read this book since princess themes can be cheesy or all about the dresses and tiaras. Happily, this book does not fit those categories! The main character Reggie is a wonderfully down-to-earth American, and Tanner appreciates all her quirky attributes and sees past them to the special and unique individual she is. He helps her embrace her strengths and face the challenges of stepping into her royal heritage. I loved the mystery and history of her great-grandmother which unraveled slowly throughout the book with journal entries and memories cherished by Reggie. The sweet romance was overshadowed by the other aspects of the plot, but overall it was a good balance. Nathaniel would do anything for his bride-to-be. But he knows his position requires that she give up a lot to be with him. Her life will never be her own — right down to her very identity. When she travels home to St. Simon’s Island, Georgia, right before the wedding, Nathaniel fears she won’t return. Gathering his courage, he devises a plan to win his bride all over again, and together they seek out a kingdom to treasure above all. This novella would probably be great for someone who had read the full-length novel the characters are from. 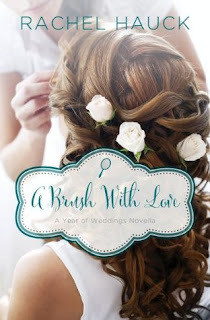 As a stand-alone, it threw the reader into the chaos of the royal wedding plans and doubts of the characters without establishing any relationship, chemistry, or romance. I felt like an outsider who had walked into the end of a movie, and I didn't have a connection to the characters because I missed 90% of the story.